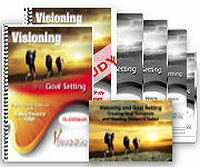 Audio Training Program: Visioning and Goal Setting - Projecting Your Tomorrow and Heading Toward It Today from Ready2Go Marketing Solutions, Inc. Seem to achieve everything they set their minds to? Appear to always be doing what it is they love and enjoy? Come across so calm and confident? And are fulfilling their dreams, passions and vision? The truth is, it has nothing to do with luck. As a matter of fact, 90% of the people who have achieved a high level of success in their life will admit that they started off with little to nothing, and developed their success through utilizing a few powerful principles. 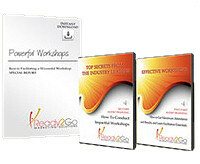 Would you like to discover for yourself what those powerful principles are? The audios are only 4-6 minutes long, so they don’t take a large time commitment, but they are jam packed with valuable information about the visioning process. 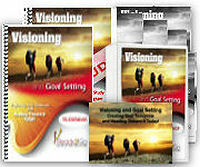 Audio #1: What is Visioning?